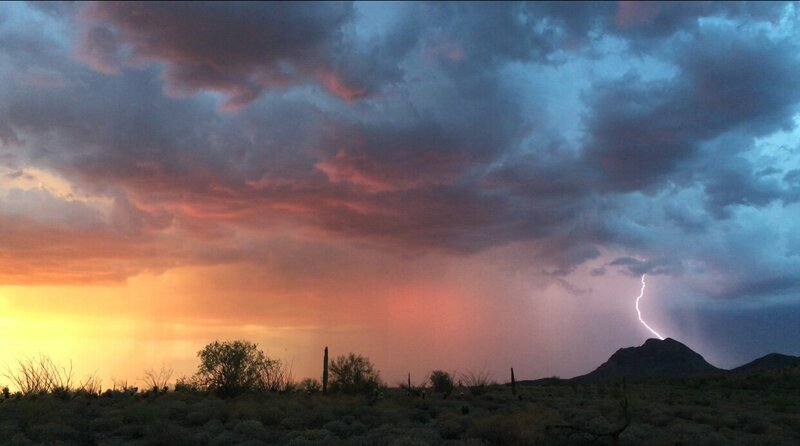 Monsoon is a vast, largely unpredictable weather pattern that fuels summer thunderstorms across much of Arizona. It can trigger a drenching downpour with damaging hail and dangerous winds in one community while leaving a nearby neighborhood untouched. It can spark thunderstorms for several days in a row, then go dry for weeks at a time. Its impact also varies with terrain and elevation, which means much of North Phoenix is more susceptible to heavy downpours than downtown. Much of the year, winds in Arizona blow from the west or northwest. During monsoon, however, they tend to blow from the southwest and bring moisture from the tropical Pacific and even the Gulf of Mexico. June temperatures can be brutal, reaching or topping 110 degrees. But as moisture rolls in from the south, usually starting in July, temps typically moderate into the high 90s and low 100s. Humidity shoots up. Daytime heating causes the moist air to rise. As air rises, it cools. Cool air can’t hold as much moisture as warm air, and when the high-altitude air becomes saturated, water condenses around small particles and forms clouds and rain. Mountainous terrain fosters this activity. 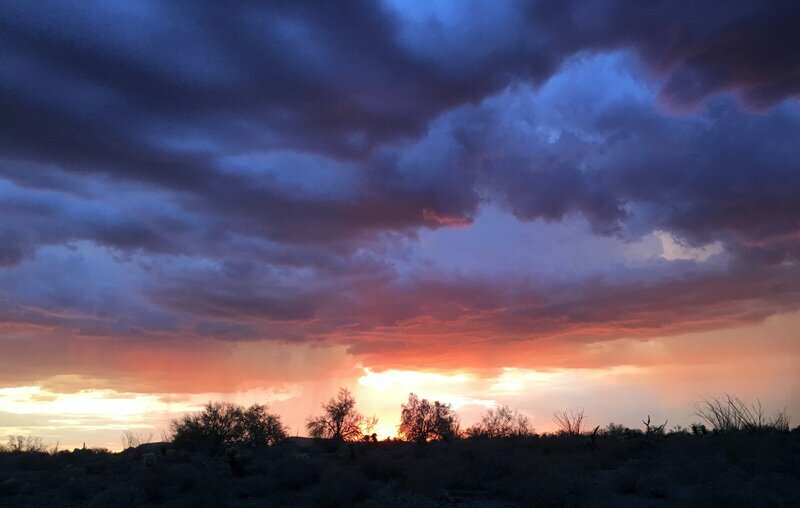 “Typically, we’ll see storms form over the mountains north and east of Phoenix before the Valley and lower deserts see storms,” explains Andrew Deemer, a meteorologist with the National Weather Service in Phoenix. It’s difficult if not impossible to predict more than moments or hours in advance when or where any particular thunderstorms will strike. 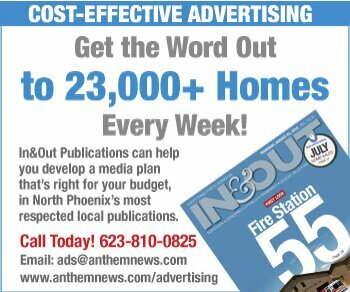 In one of many examples of how fickle yet destructive a monsoon storm can be, a torrential downpour struck parts of Anthem in 2012. Dubbed a thousand-year storm, the tempest got stuck over the town and dumped up to 5 inches in just 90 minutes, flooding some houses with several feet of water. Wind gusts exceeded 60 mph, toppling trees all over town and even knocking down saguaro cacti that had stood for a century or more on the flanks of nearby Daisy Mountain. 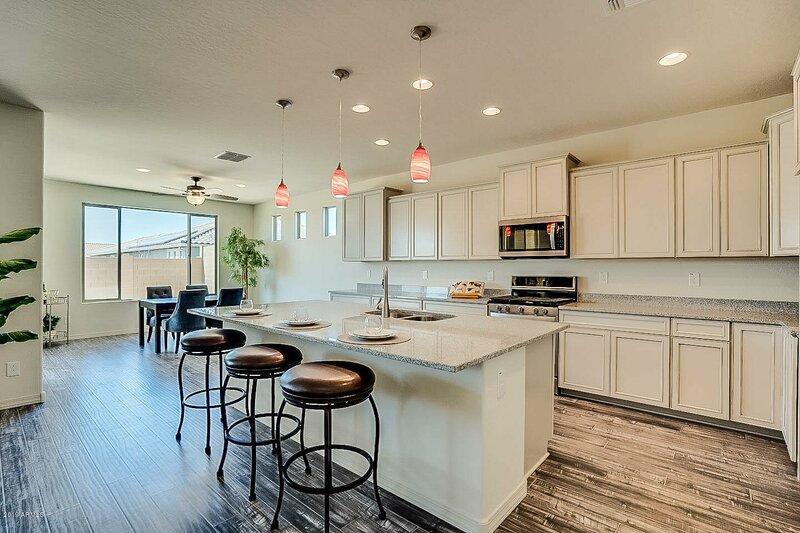 Meanwhile, Tramonto and the rest of North Phoenix was virtually dry, and even many Anthem residents didn’t feel the brunt of the storm, with some neighborhoods suffering little to no damage. A storm on July 29, 2016 was just one of many that year that brought dust, heavy rain and damaging wind to many parts of the valley. It was notable, however, for this number: More than 15,000 lightning flashes, according to the National Weather Service. Later that year, in August, a storm dumped nearly 3 inches of rain in less than two hours, flooding parts of I-17 in central Phoenix. The Phoenix NWS recorded nearly 200 local storm reports during the 2016 monsoon. When all was said and done, Sky Harbor had a ho-hum total of 2.49 inches of rain, near the long-term monsoon average. Yuma got less than an inch in the 2016 monsoon. Yet parts of central Phoenix exceeded 5 inches (with half of that coming in a single storm, noted above). All this is paltry compared to, say, Acapulco — also part of the North American Monsoon — which averages 51.8 inches of rain during the wet season. Arizona is on the northern fringe of this North American Monsoon, which explains the lower rainfall totals here. A giant thunderstorm can collapse, creating a tremendous downburst of rain and wind — sometimes called a microburst — which forces an outflow at ground level. The effect can be devastating. A monsoon storm on Aug. 15, 1996 created a 115 mph wind gust at Deer Valley Airport. These outflows can also create huge dust storms, called haboobs. The front edge of a monsoon haboob can move as fast as 60 mph, picking up dust and debris and creating its own new cloud that can rise up to 10,000 feet. Up to three large dust storms can be expected in a given year, according to the NWS. When Does Monsoon Start and End? Confusion continued, however, as the monsoon in Arizona was officially declared each year only after three consecutive days with the dew point at 55 degrees or higher. It had begun as early as June 17 and as late as July 25. The average start date was July 7 and the average end date was Sept. 13. Practically speaking, significant activity often doesn’t ramp up until July, and August is historically the wettest month. 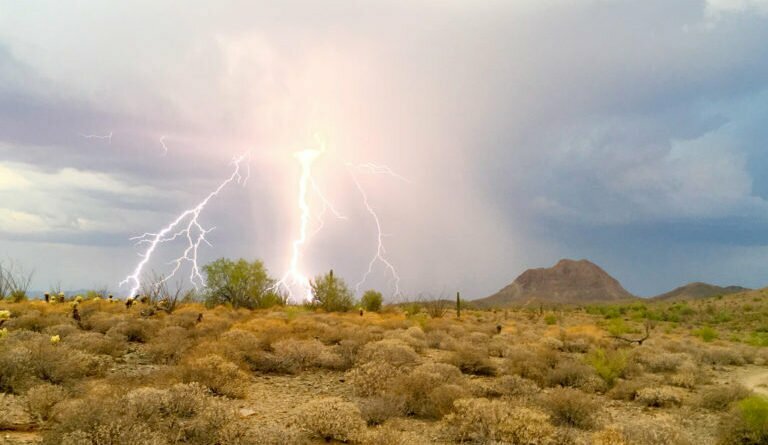 It was not until 2008, after much discussion — and even further consideration of whether to possibly call it the “summer thunderstorm season” — the NWS settled on “monsoon” and the specific start/stop dates noted above. As little as one foot of water can float a car or SUV away, and just six inches of running water can knock a person over, experts say. TV footage after a summer thunderstorm often focuses on downed trees and power lines. For good reason. The “vast majority” of people who are killed or injured in severe thunderstorms are victims of falling trees, flying debris, or downed power lines, the NWS states. Floridians know to store outdoor furniture, barbecues, garbage cans and anything that might become a projectile in a hurricane. Arizona residents may not think of such things when a thunderstorm is approaching. But in a serious wind storm, loose items can be destroyed and can cause other damage as they slam into things. Here’s a scary thought: Lightning can strike up to 15 miles away from a storm and 30 minutes after the apparent last rumble. Here’s advice from the NWS to heed in any thunderstorm: If you hear thunder, stay inside a house or vehicle. Avoid porches, swimming pools, trees and any open, high ground. Those are the places most likely to serve as electrical connection points between the ground and clouds. If a dust storm strikes while you are driving, all safety officials offer the same advice: Pull off the road, turn off headlights and taillights, put vehicle in “park” and take your foot off the brake — so other motorists don’t follow your taillights and hit you from behind. 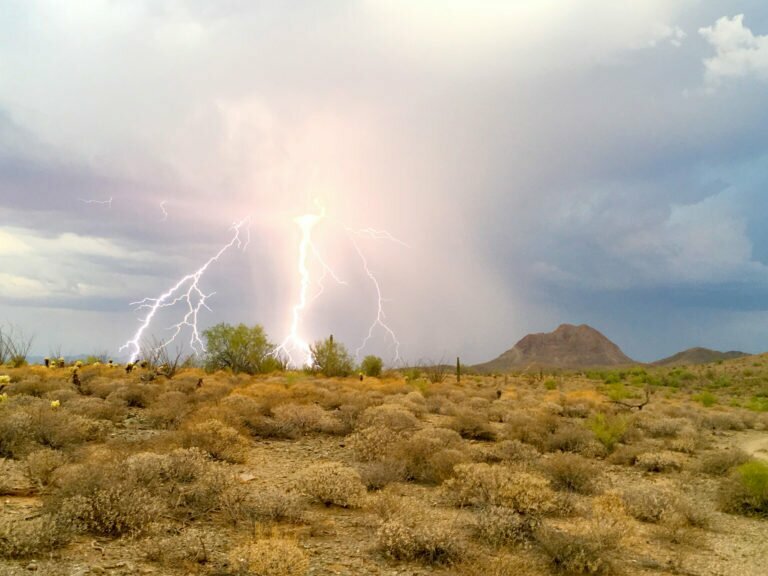 See more on monsoon safety from the NWS. Portions of this article were first published in In&Out Magazine.